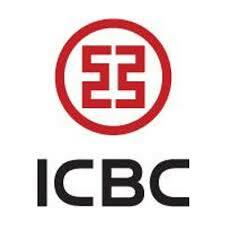 ICBC or the Industrial and Commercial Bank of China is one of China’s ‘Big Four’ banks, along with Bank of China, China Construction Bank and Agricultural Bank of China. While it is a state-run bank, several of its divisions appear to operate with relative independence. It is the largest bank in China yet still has branches worldwide. It has branches in North America, South America, Europe and Australia. The largest in the United States is the New York Branch, located on Fifth Avenue. With well over $3 trillion in assets under management it is the largest bank in the world by some measures.1 ICBC is a true merchant bank, offering only commercial financing services for its institutional clients. Through its Trade Finance Group, Industrial and Commercial Bank of China provides short-term, funding solutions for import-export businesses. Specifically, they handle the invoice factoring services outside of mainland China. ICBC offers due diligence services on the importer, provide a guarantee on bad debt, loan collection, trade financing and sales ledger management. Additionally, ICBC offers both non-finance and finance factoring. Under non-finance factoring, the business doesn’t necessarily need immediate funding but is worried about the receipt of payment, especially when doing business with a customer from a risky country or an unstable region of the world. They provide a full suite of factoring services, except the funding. This is similar to trade insurance. The finance factoring provides traditional factoring company services. International Bank of China offers both recourse and non recourse factoring to improve a small business’ net working capital situation. Under ICBC’s recourse factoring, your business still bears the credit risk of your customers (known as account debtors). The good news is that your factoring fee will be lower than with non recourse factoring. The bad news is your business must pay back the factor whether your clients pay the invoices or not. This means your business still retains the credit risk of the outstanding invoices. ICBC offers non recourse factoring of eligible, unpaid invoices. Here, the credit risk of your customers repayments is transferred to the factor, in this case ICBC. Of course, this will not cover your business in the case of trade disputes. Also, there are significant foreign exchange risks involved with import-export operations. Current and former customers were not saying much about their dealings with ICBC. This is a good thing and we found very few negative complaints. This is likely due to their dealings primarily with larger businesses who are obviously less likely to voice their anger on message boards. The bank is rated A by the Better Business Bureau, but is not accredited. Small and medium sized banks are typical candidates for accounts receivable factoring, which may not qualify to be an ICBC customer. They deal with larger commercial businesses, so you’d probably have to be at least a medium-sized business to get any type of personalized service. Another issue we must bring up is the language and language barriers involved. You will likely not get a dedicated account rep with a factoring bank of this size. Therefore, follow-up correspondence will likely be challenging. Also, adherence to contracts and factoring agreements is of utmost importance when factoring accounts receivable. We found numerous inconsistencies, broken grammar throughout ICBC’s USA site. This could require legal resources (and expenses) for your business. Should I be Factoring Receivables with Industrial and Commercial Bank of China? The Industrial and Commercial Bank of China is a well-established commercial bank with significant financial backing and reputation. But it is best utilized by larger companies. Still, factoring receivables with ICBC could be complicated. We would probably find a different invoice factoring company unless you are an import-export business, primarily located on the West Coast (with more significant Asian operations) and at least medium-sized.